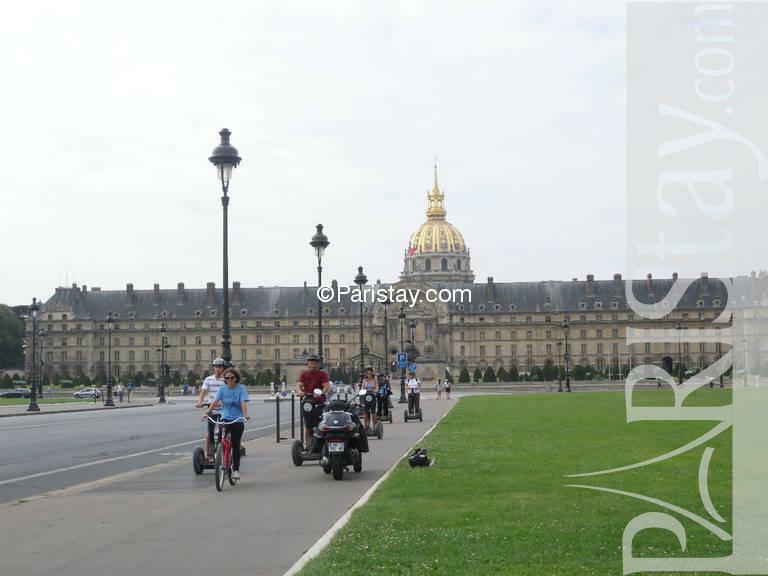 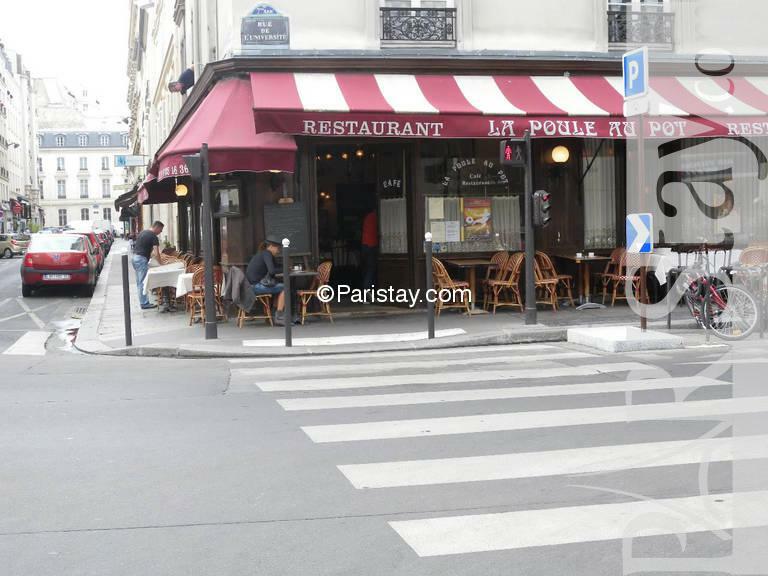 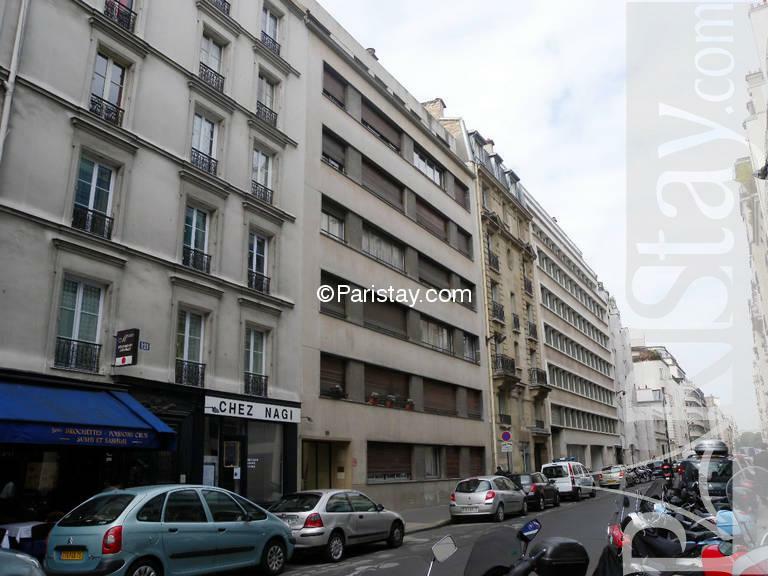 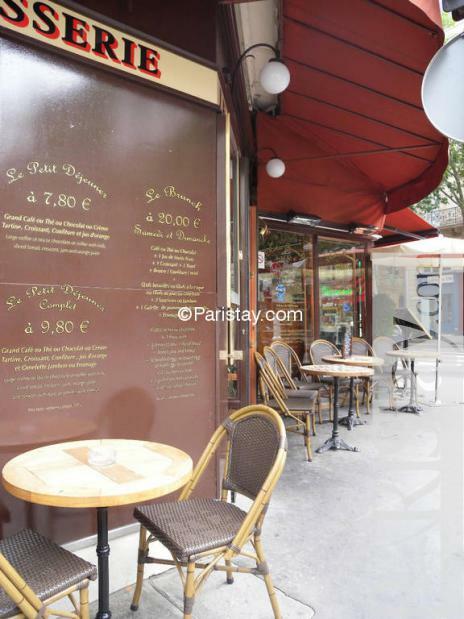 By the Seine riverside, between the Quai Voltaire, Quai d'Orsay and the gardens of the Champ de Mars, the chic street of the University is a prestigious address in the area of preference of Embassies. 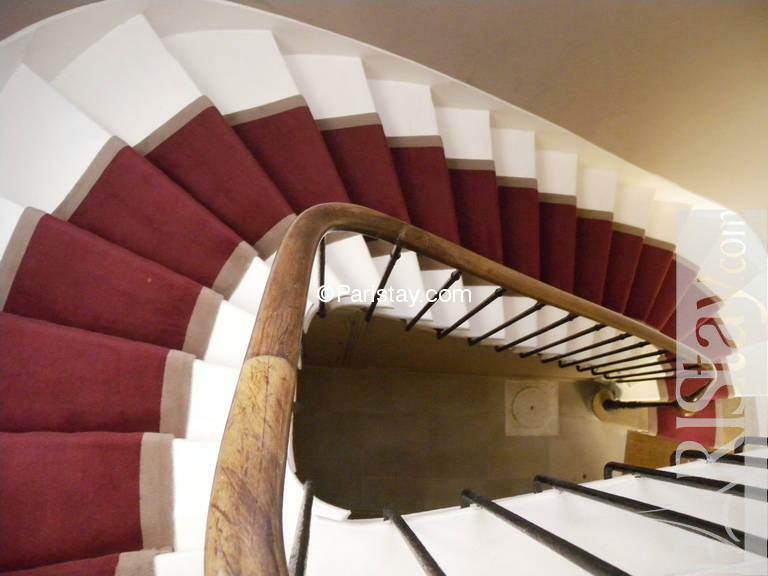 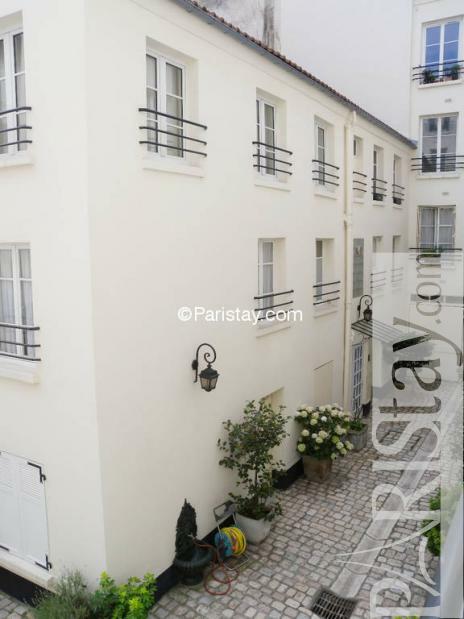 Steps away from famous the Invalides, the Eiffel Tower the museums and the historic places of a district heritage(holdings), near rue Cler and Saint Dominique, it is a perfect place for a long term rental in Paris ! 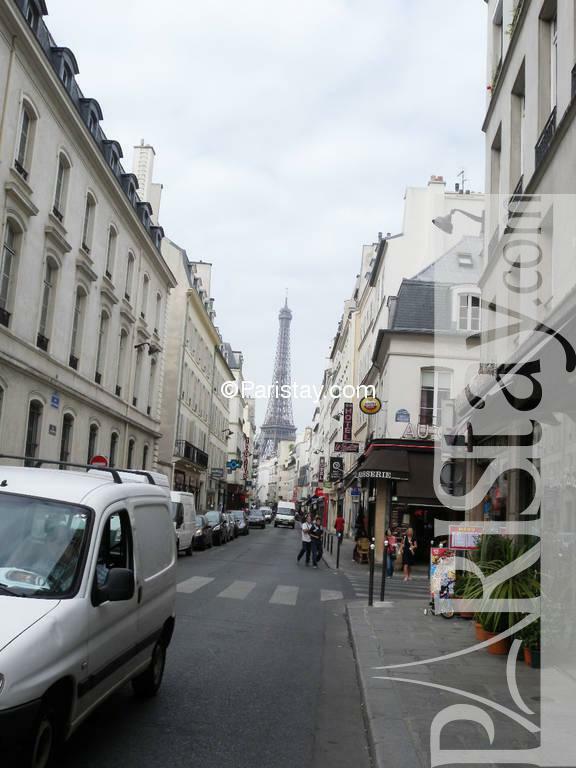 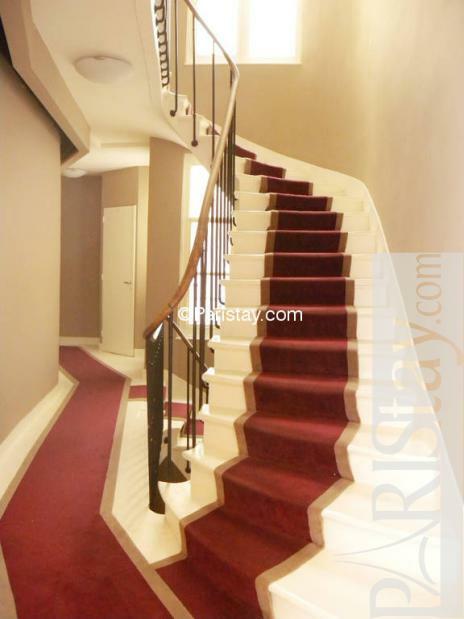 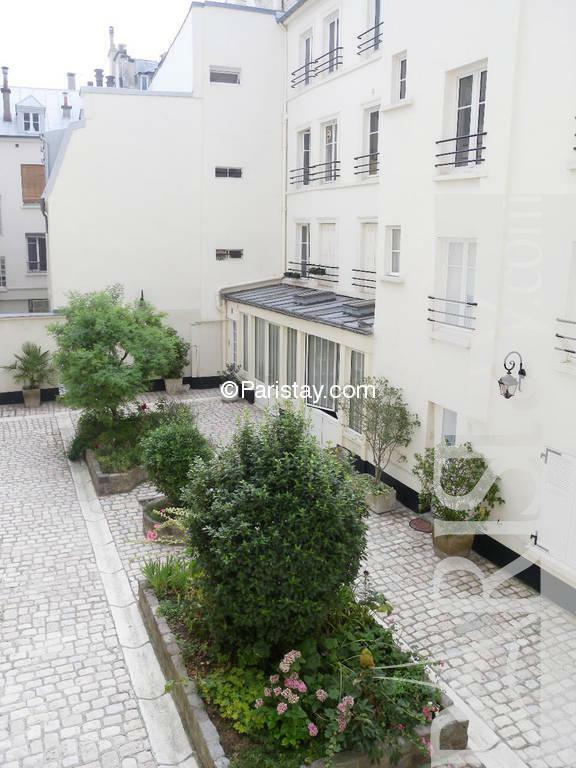 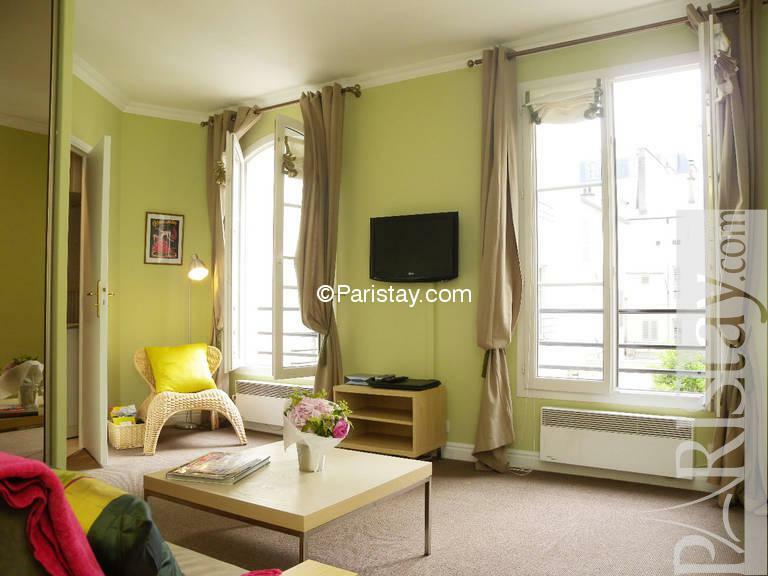 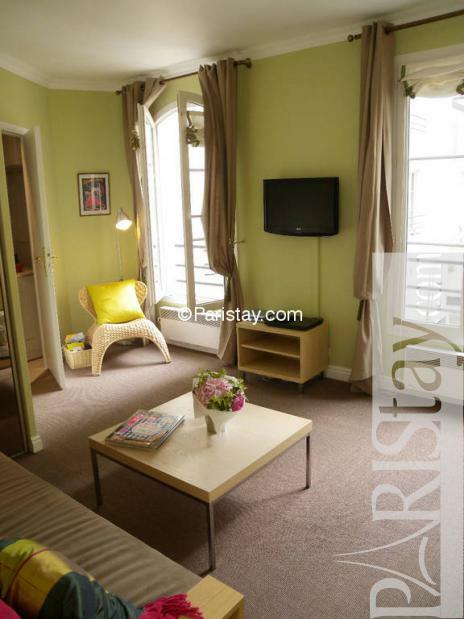 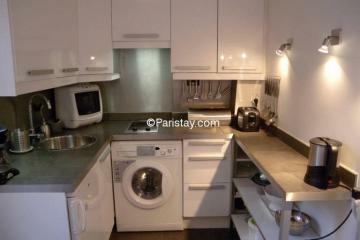 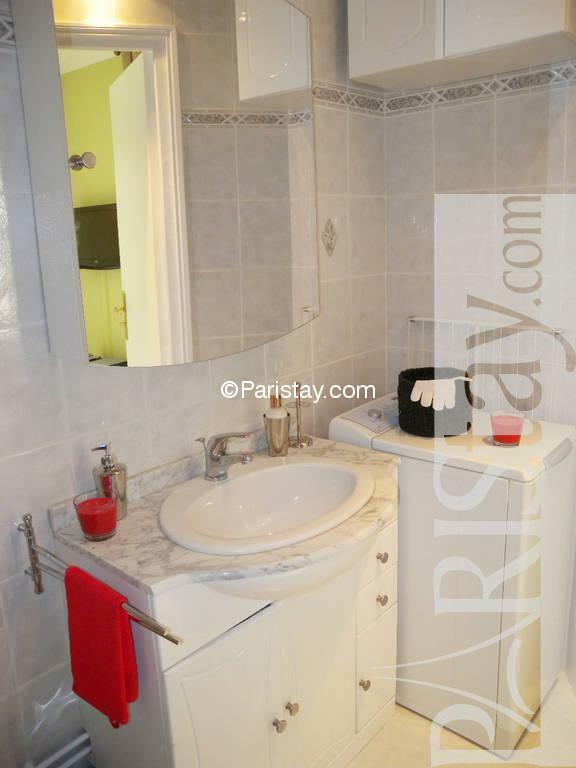 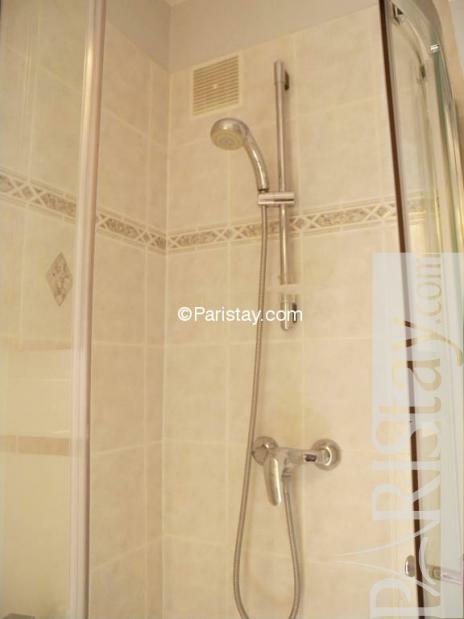 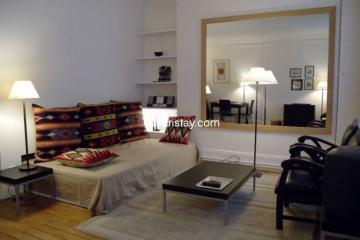 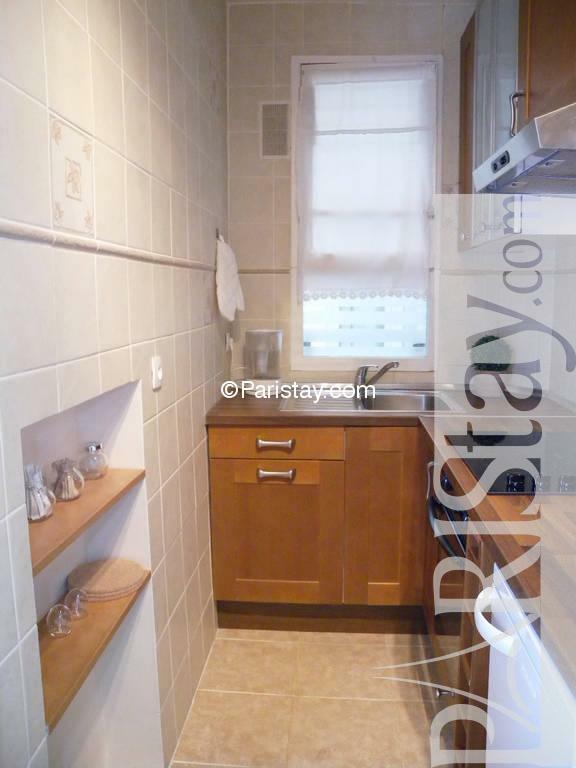 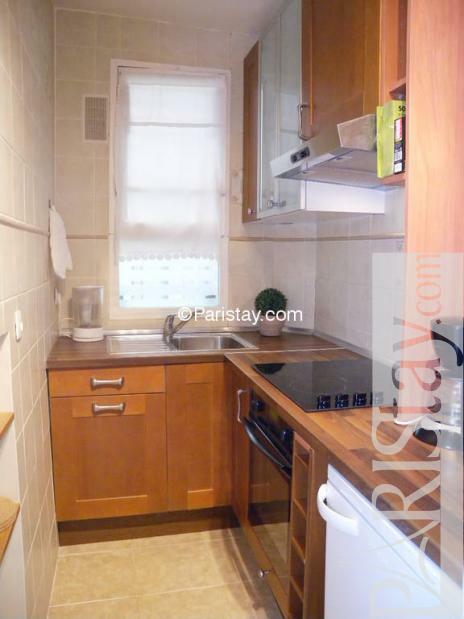 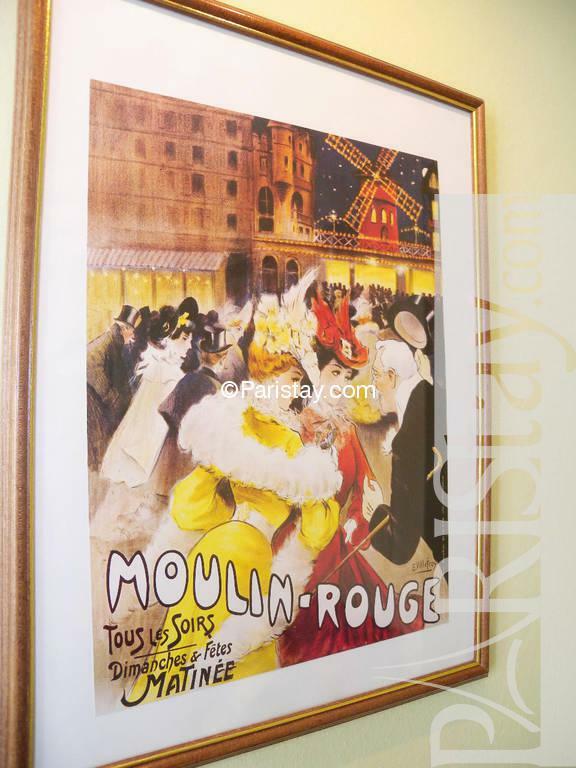 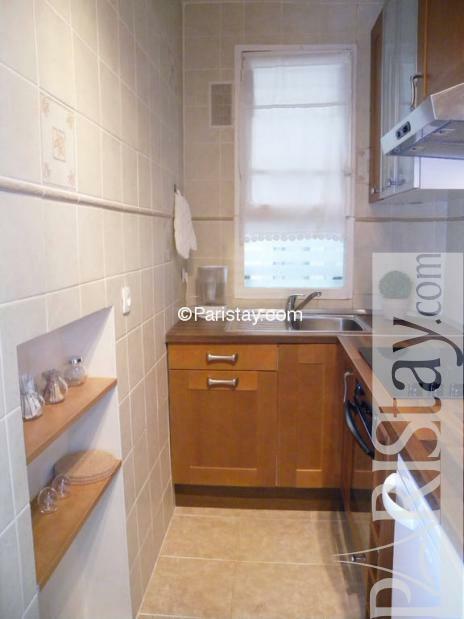 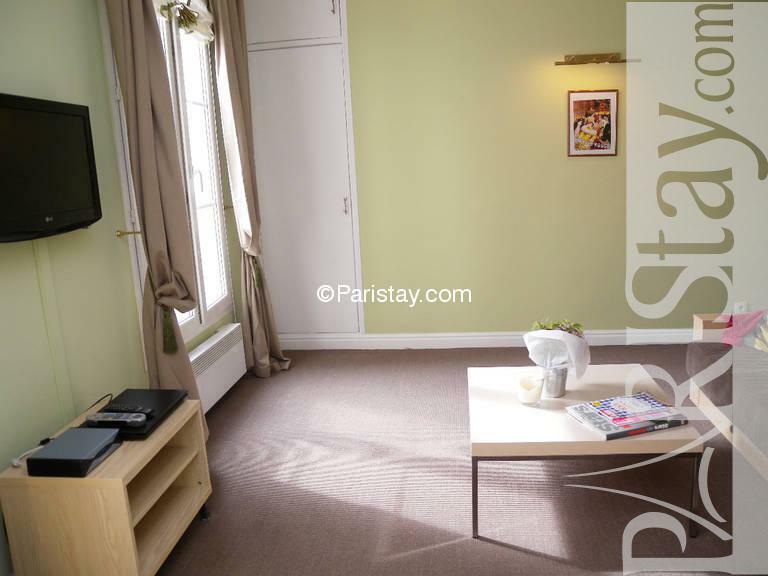 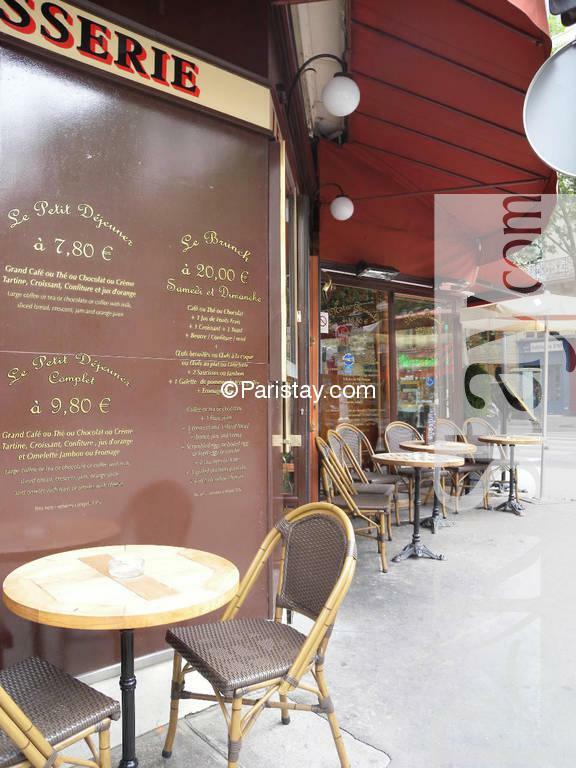 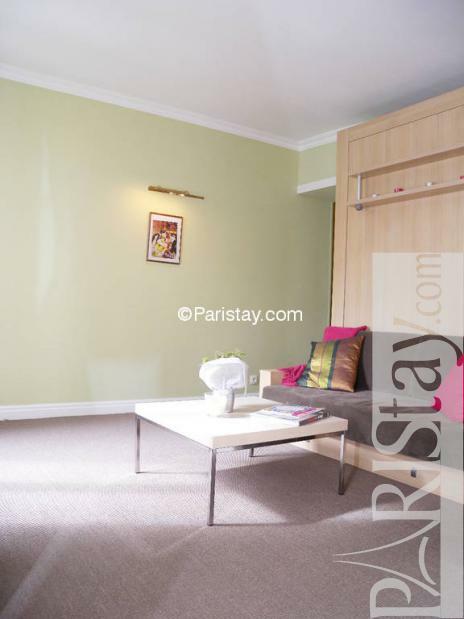 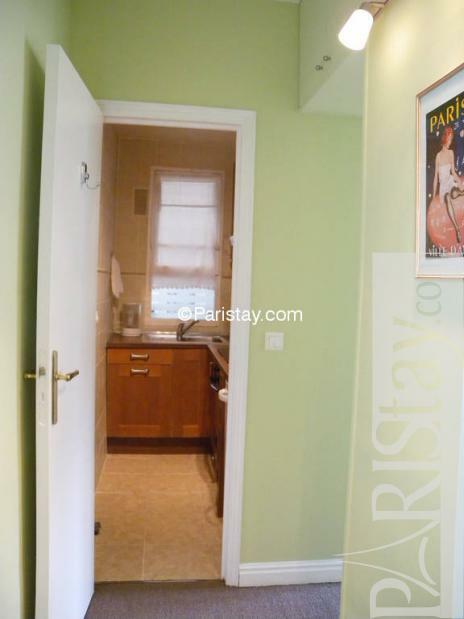 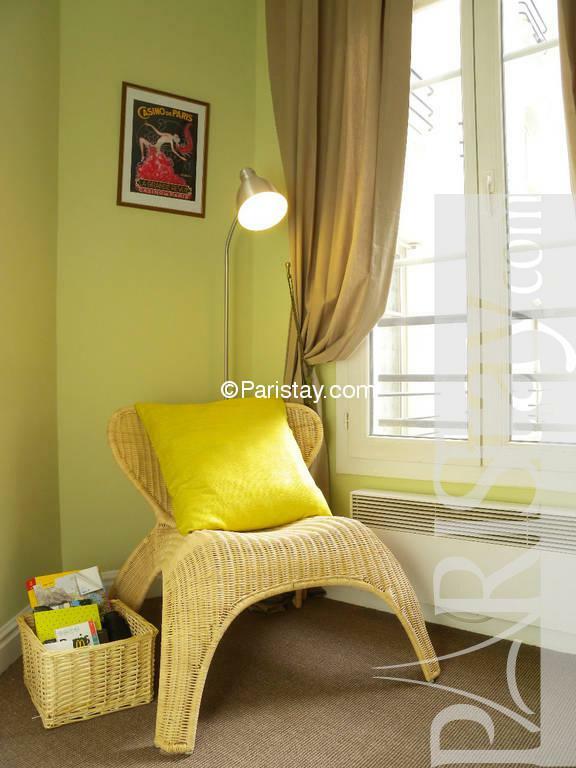 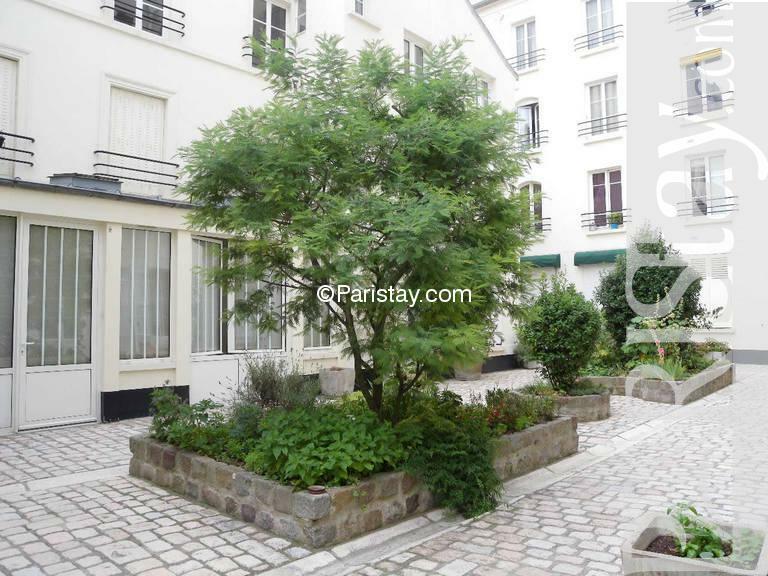 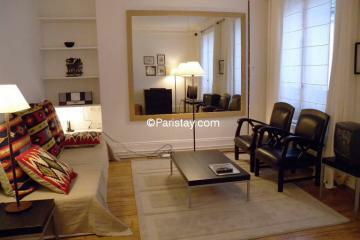 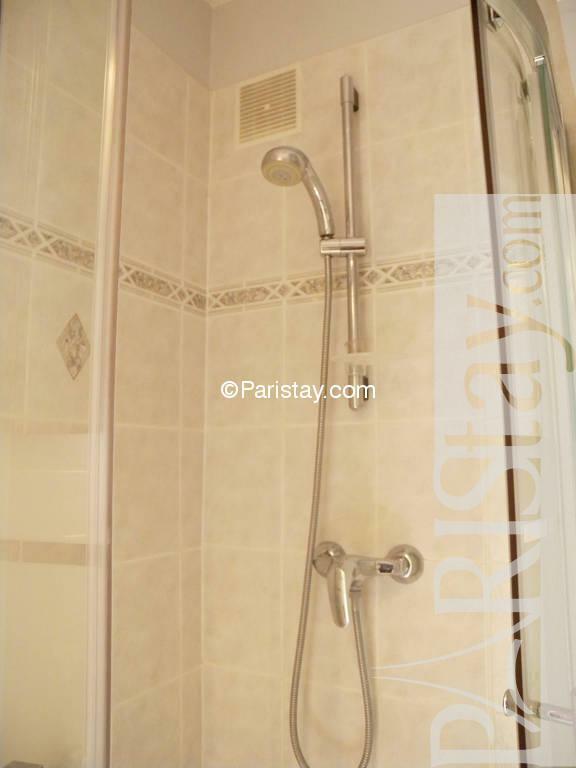 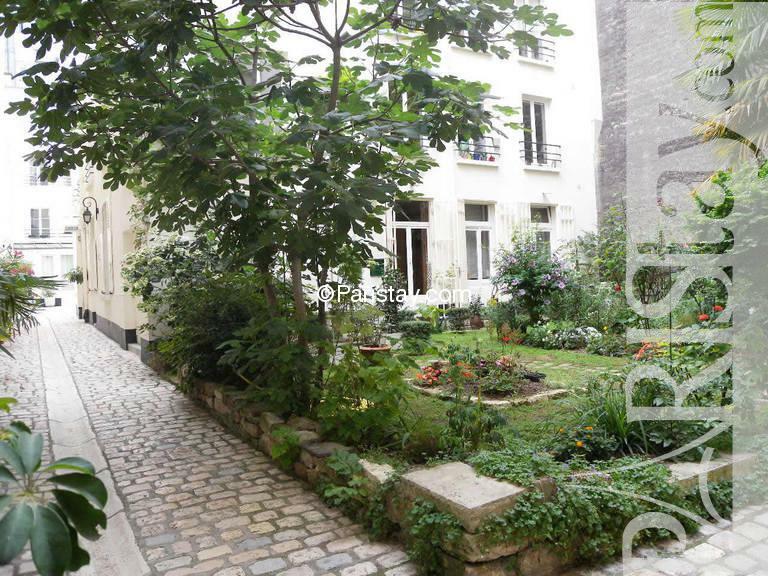 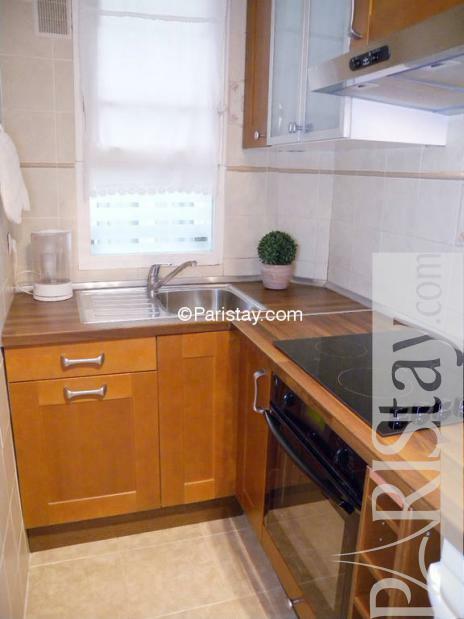 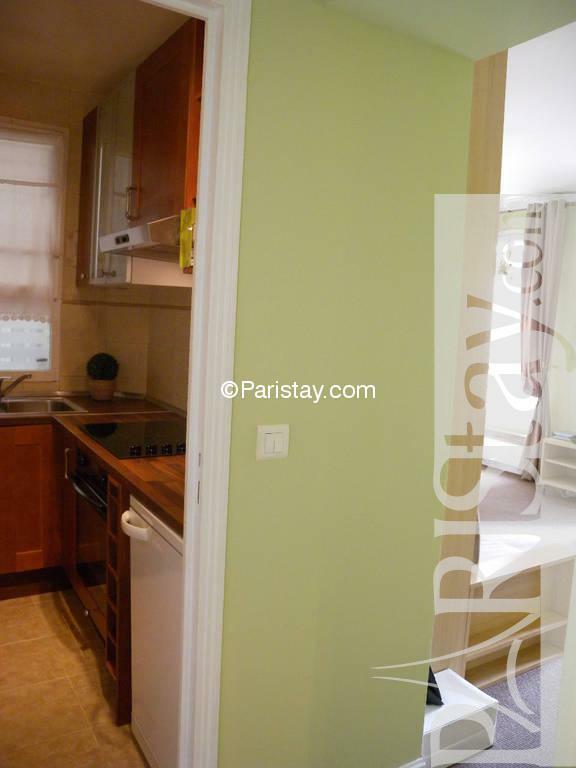 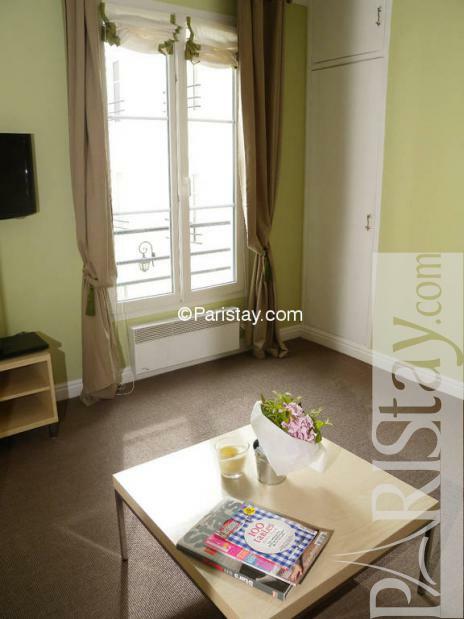 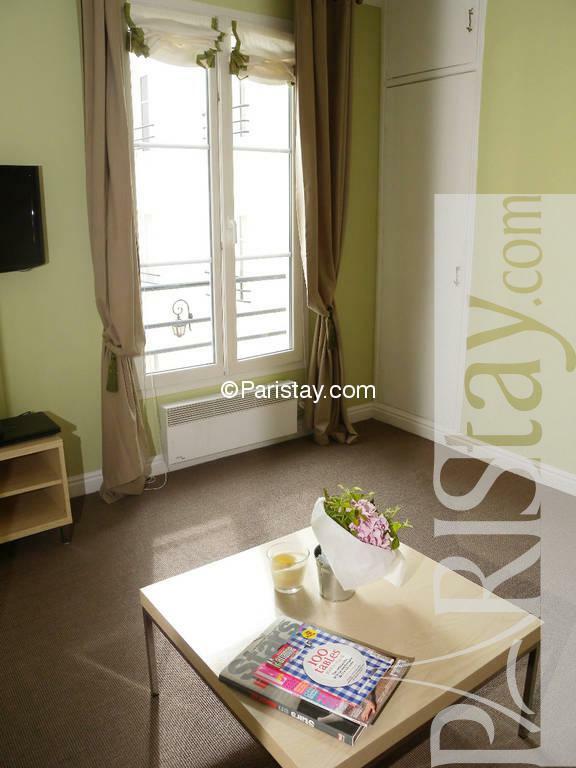 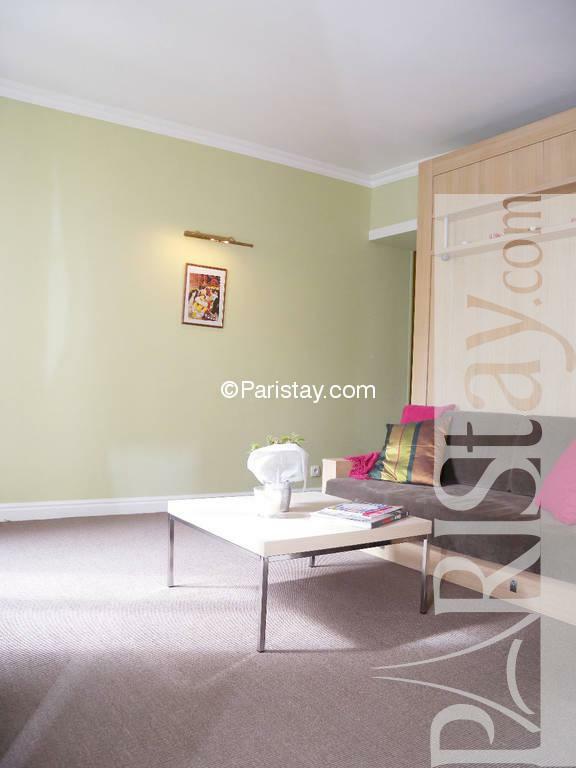 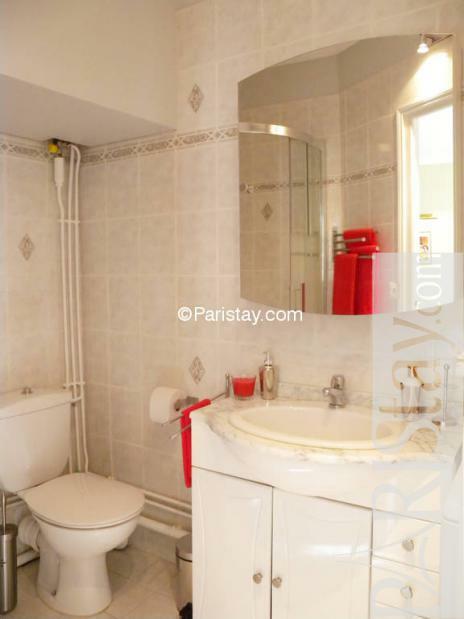 This Paris studio apartment has been fully renovated in July 2010. The flat consists of a very bright main room including a murphy bed with mattress in latex wich offer you a big comfort, two big windows overhanging a raised courtyard, and a completely equipped separate kitchen and a shower room. 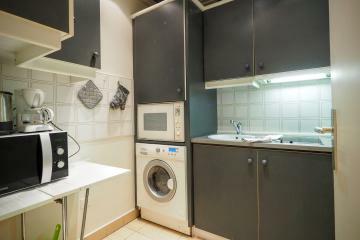 The linen is supplied and a washing machine. 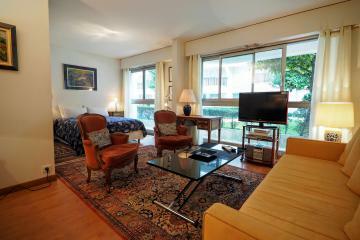 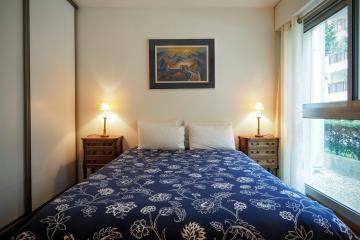 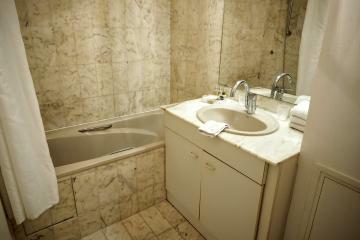 The apartment includes a TV installation, an internet access in WiFi, telephone in unlimited towards numerous countries. 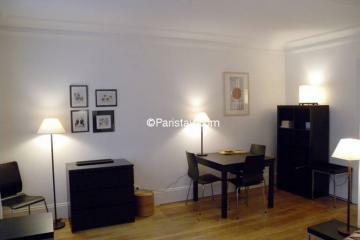 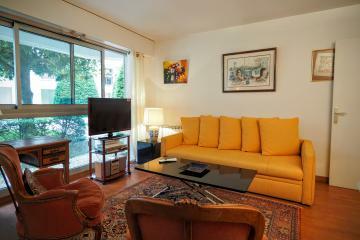 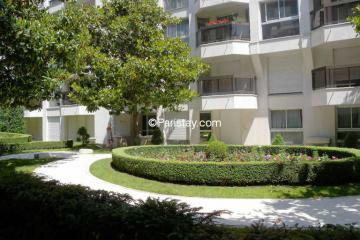 19th's Building, 1 st floor, without Lift, entry code security system, Studio Appartement, furnished, Approx: 25m² / 269 Sq.Ft.